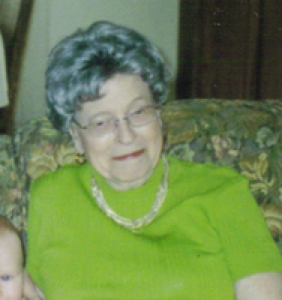 Maxine M. Strasser, 93, 550 Rader Drive, Vandalia, Ohio formerly of Sidney, Ohio died at Miami Valley Hospital in Dayton on Thursday, February 22, 2007 at 5:40 PM. She was born August 8, 1913 in Shelby, Ohio the daughter of Chauncy and Amelia (Clous) Webster. She moved to Shelby County in 1936 from Versailles, Ohio and married Harold Strasser in 1936. He died in 1979. Surviving are three children, Mrs. Jerome (Brenda) Geis of Botkins, Ohio; Ellen Strasser of Bradford, Ohio and Mrs. Jerry (Marilyn) Fogt of Vandalia, Ohio; seven grandchildren and eleven great-grandchildren. One sister is deceased. She was a graduate of Versailles High School, was a member of the Rosary Altar Sodality and a member of Holy Angels Catholic Church. She worked for the City of Sidney for 13 years as a dispatcher for Dial-A-Ride and for the G. C. Murphy Co. for 19 years in Sidney. A Mass of Christian Burial will be held on Monday, February 26, 2007 at 10:30 AM at Holy Angels Catholic Church with Rev. Gerald Bensman. Burial will be at Graceland Cemetery, Sidney. Friends may call at Salm-McGill and Tangeman Funeral Home from 9:00 AM until 10:00 AM on Monday at the funeral home. Memorial contributions may be made to the American Heart Association, P.O. Box 163549, Columbus, Ohio 43216-3549 or the National Kidney Foundation, 1373 Grandview Ave., Suite 200, Columbus, Ohio 43212.